Our French doors combine a classy look with superior performance. French doors give your home a classy, elegant look with versatility at the forefront. 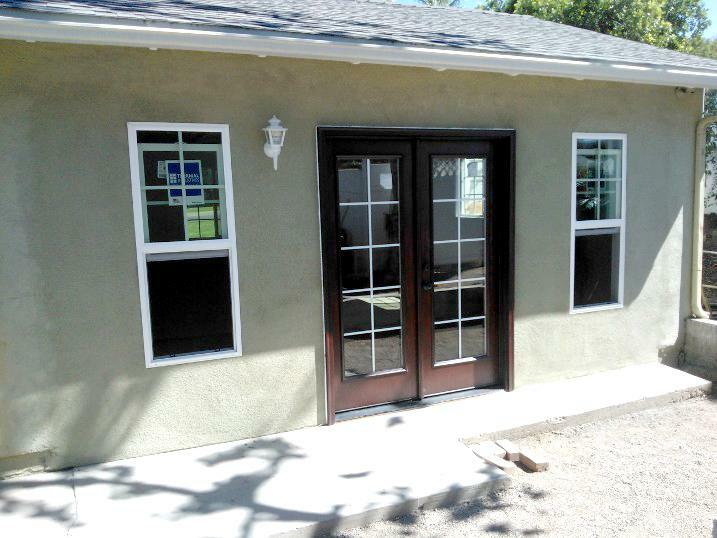 ClearChoice Windows and Doors can install a variety of French doors in Riverside CA to make a bold statement. That bold statement shows your dedication to traditional yet gorgeous design flexibility with trusted quality. We partner with the top manufacturers in the industry to deliver exceptional, long-lasting value with products built to last from Therma-Tru and ProVia. This ensures your choice of styles, colors, and types for the ultimate in versatile design options that fit your budget and decor. Our team is highly trained to provide superior quality doors that last through the years, whether you're looking for a design with vinyl, fiberglass or wood. We're proud of our American-made products and stand behind them with solid labor and product warranties. Call us at 1-844-224-1112 to speak with one of our knowledgeable specialists or click below to fill out our simple online form for a free estimate in Riverside, Fontana, Rancho Cucamonga or nearby. In addition, our French doors are extremely energy efficient, so you can keep in warmth in the winter and cool air in summer for your optimum comfort. Doors by ProVia and Therma-Tru meet the highest standards for beauty, durability, and energy efficiency, offering the ability to customize your sizes and finishes for the perfect match in your home. Our family owned and operated business strives for 100 percent satisfaction when it comes to French doors in Ontario CA and surrounding communities. Get a free estimate on French doors in Greater Los Angeles today! French doors add a certain level of class and luxury to any space. It’s time you incorporated them into your home today. Contact us to discuss your door replacement project and schedule a free estimate! We provide free estimates for window and door replacement and installation in Corona, El Monte, West Covina, Rialto, Chino, Chino Hills, Baldwin Park, and surrounding areas.